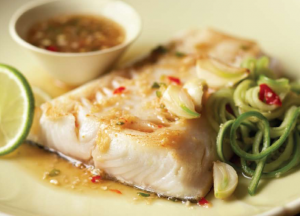 Alaska Black Cod is a premium whitefish choice for smoking, sautéing, poaching or roasting. No other Alaska species has quite the cachet of Alaska Black Cod. With its beautiful snow-white fillet and perfect flake, Alaska Black code is harvest seasonally and made available year-round. All Alaska Seafood is wild and pure, responsibly managed for continuing abundance. Alaska boasts the largest Black Cod population in the world; tight regulations are enforced to ensure the continued sustainability of the species. Black Cod is harvested by longline and pots. The season for fresh Alaska Black Cod is March through mid-November, but this delicious fish is available frozen year-round. 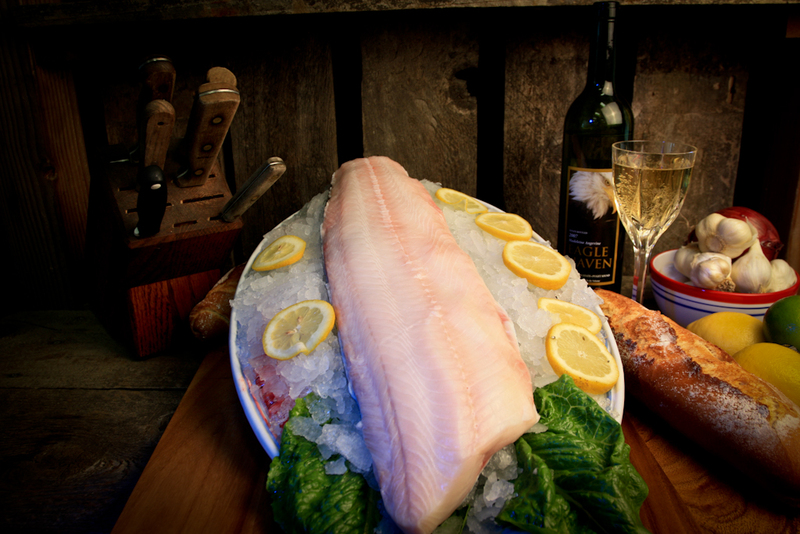 Swimming free in deep, frigid waters of the Bering Sea and the Gulf of Alaska, this premium whitefish develops the rich oil content that gives it its distinctive flavor and texture. And Alaska Black Cod is rich in omega-3 fatty acids, yielding a fish that’s an excellent source of high-quality protein and eating enjoyment. variety of preparations, from simple to spectacular. Skagit’s Own Fish Market also brings in Oregon & Washington coast “Black Cod.” when not available from Alaska.